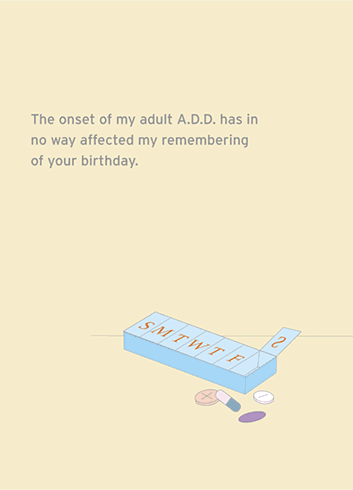 Outside: The onset of my adult A.D.D. has in no way affected my remembering of your birthday. Inside: Merry Christmas.